Dash through the snow in a one horse open sleigh! 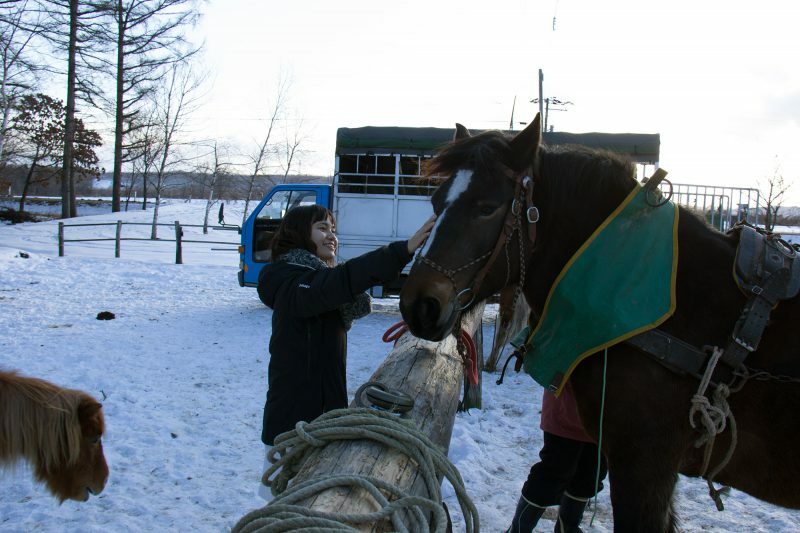 In this tour, you’ll visit a horse stable in the Churui district of Makubetsu Town in the southern Tokachi region. This stable is run by Tooru Hirukawa, a horse shoer who also takes care of retired race horses. 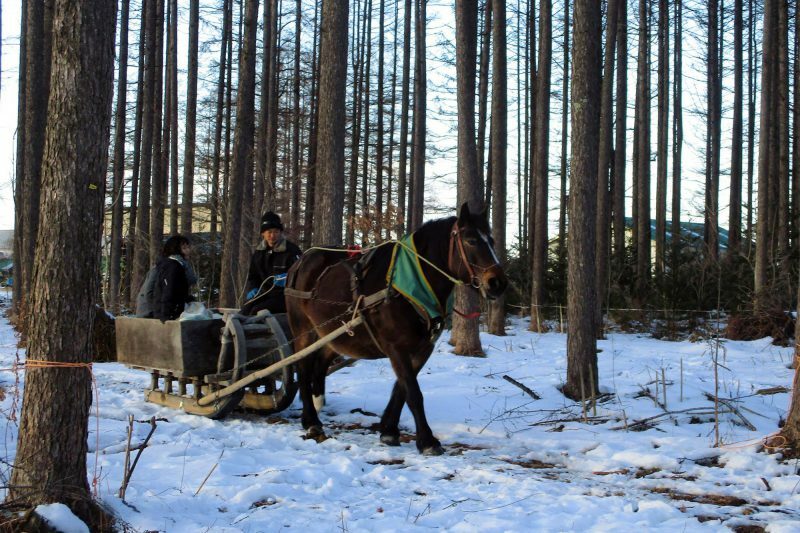 These large draft horses known as “banba” work with Hirukawa-san, pulling logs from the forest just like during the pioneering days of Hokkaido. They also like to take visitors for a ride on board a sleigh. You can experience the crisp air of winter and the power of the horses as they pull the sleigh across the scenic snow-covered landscapes of the forest. Hirukawa-san’s horses live a relaxed life, and they have a friendly and welcoming demeanor. 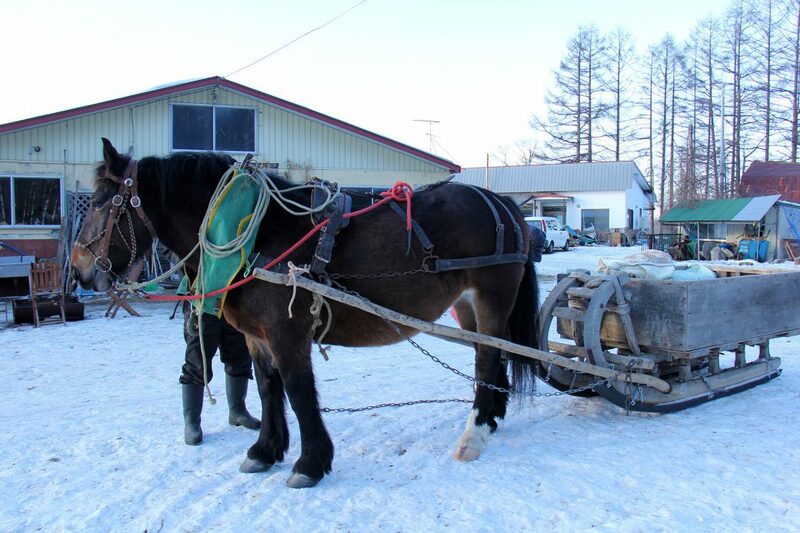 Momo, one of the friendly horses in stable, likes to take visitors for a sleigh ride. 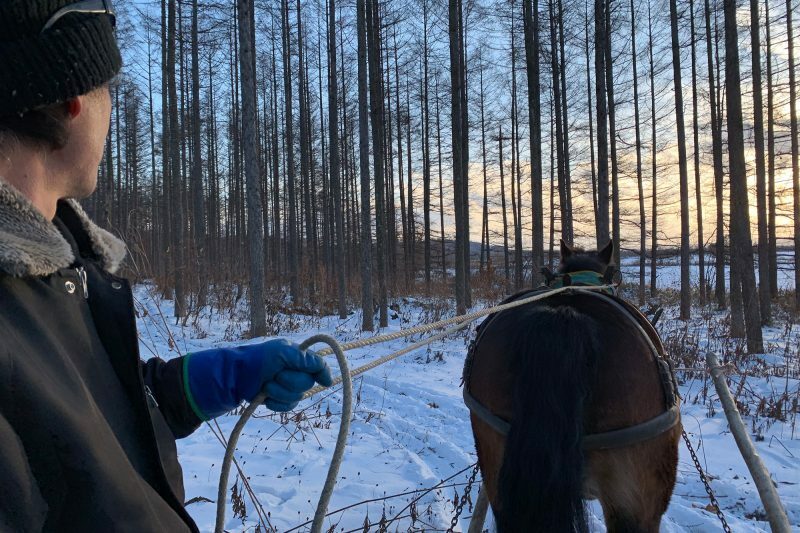 Hirukawa-san will tell you all about the draft horses as you ride into scenic snow-covered forest. * Please inquire for groups with less than 3 persons. ・Tours may be changed or cancelled depending on the weather or the health condition of the horses.